This week, we talk about "Manor." It's a short story written 130 years ago and set in the Faroe Islands. The author, Karl Heinrich Ulrichs, was German and never traveled to the Faroes, but his story was rediscovered by two of our favorite Faroese people (Birgir Kruse and Eiler Fagraklett, to be exact) and translated into Faroese for the first time. We'll visit the release event for the book, talk about the gay themes in the book, and learn more about "Manor's" author, who is considered by many to be the world's first gay rights activist. 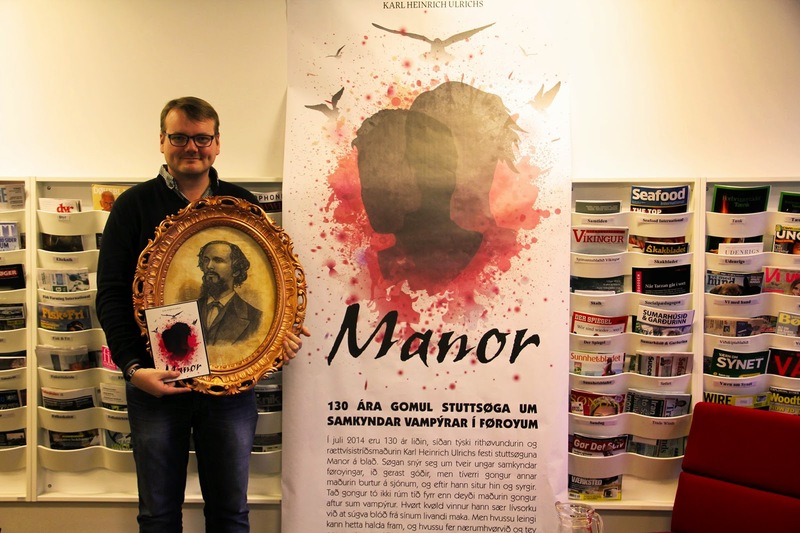 While the Faroese translation of "Manor" is new, an English translation has been around for many years. You can read the English translation of "Manor" here.